The B-CC Jazz Ensemble is an award-winning group that performs throughout the Bethesda and Chevy Chase communities. Recent performances have included the Mid-Atlantic Jazz Festival and the Montgomery County Jazz Festival. 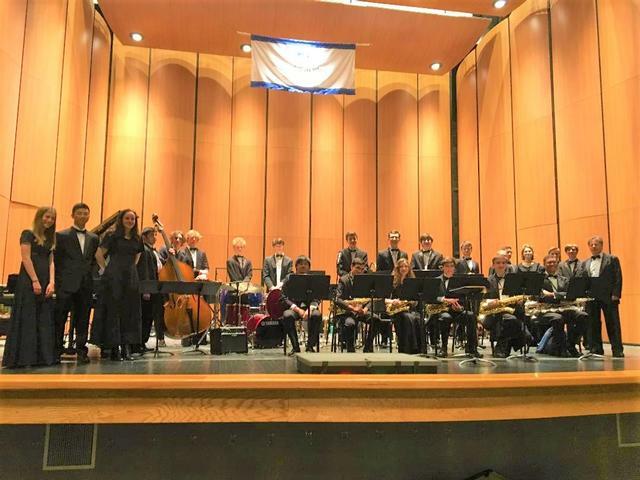 In April, 2019, the jazz band performed at a National Music Festival in Chicago, IL. The jazz band has also performed at music festivals in New Orleans, New York, and Boston. The jazz ensemble plays a wide variety of styles that range from swing, be-bop, Latin, funk, and ballads. The group is a typical big band with 5 saxes, 5 trumpets, 4 trombones, and a full rhythm section. MCPS Faculty Big Band is under the direction of Mike Kamuf. The MCPS Faculty Big Band is a group of music educators that teach in Montgomery County. All musicians teach either elementary, middle, or high school instrumental music. The ensemble plays an assortment of styles from many well-known composers and arrangers, including the director, Mike Kamuf. The group is excited to perform once again at the Bethesda Blues and Jazz Supper Club as they join forces with the students musicians from the Bethesda-Chevy Chase High School Jazz Ensemble.